Preheat oven to 200°C. Arrange the chicken in a roasting pan. 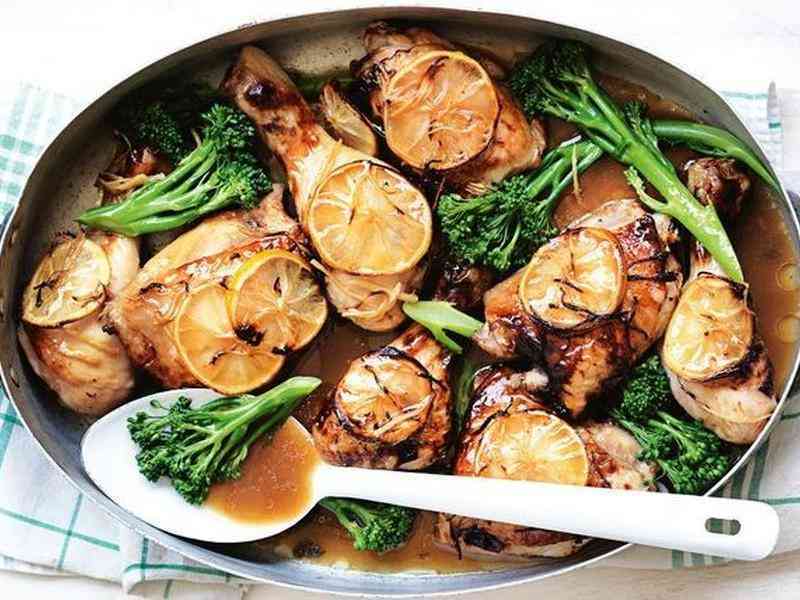 Thinly slice 1 lemon and arrange slices over the chicken. Sprinkle with ginger. Juice the remaining lemon. Combine the lemon juice, honey and soy sauce in a small bowl. Pour evenly over the chicken. Roast, basting occasionally with pan juices, for 40 mins or until chicken is golden brown and cooked through. Add the broccolini to the chicken mixture. Bake for 2 mins or until bright green and tender crisp.